The causes which I've settled on as those which receive my limited budget for donations reflect a bit of an evolution of my philosophy. When I was a teenager, I supported organizations which operated on a global or national scale. However, in my advancing age I've settled on organizations that basically operate in my own backyard. The reasons for this shift from global to local are varied. First, I can actually see what the organizations I support do, since they operate locally. It's easier to stay engaged with (and participate in) an organization that takes concrete, observable local action, rather than organizations that essentially are just abstract expressions of my beliefs. Also, we can't expect other parts of the world to respect a "do as I say, not as I do" country. We need to lead by example, and that means taking care of our own backyards. Finally, while we need organizations which lobby the big picture issues, I personally have an affinity for organizations which take direct action to actually realize their goals and make a difference. So, for the past few years, I've been supporting the Bruce Trail Conservancy, the Ontario Society for the Prevention of Cruelty to Animals, and the Taoist Tai Chi Society. 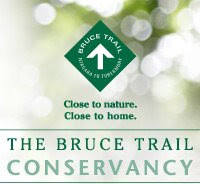 The Bruce Trail Conservancy maintains the ~800km conservation corridor that comprises the Bruce Trail in Ontario. They purchase land to preserve the Niagara Escarpment and secure optimum route for the trail. The Bruce Trail passes through some of the most densely developed areas of Canada, and 52% of the trail is still vulnerable to development. By supporting the Bruce Trail Conservancy, I support the preservation of dwindling natural areas in my part of the world. 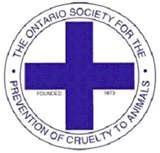 The Ontario Society for the Prevention of Cruelty to Animals (OSPCA) is the agency charged with investigating and enforcing animal cruelty laws in Ontario. Despite having the power to enforce laws, the OSPCA receives precious little funding for their activities. They also operate animal adoption and shelter programs, wildlife rescue and rehabilitation, and are the chief advocate for animals in Ontario. Another organization which I enthusiastically support is the International Taoist Tai Chi Society. The Taoist Tai Chi Society is a non-profit charitable organization dedicated to making tai chi available to all people, to promoting the health-improving benefits of tai chi, to encouraging cultural exchange, and to helping others. It is volunteer driven, operates world wide, and has a depth which continues to surprise me. Taoist Tai Chi is very beneficial to one's health, and the society operates health recovery programs as one of its central activities. Because the Taoist Tai Chi Society was founded here in Ontario, I have the good fortune of living only two hours away from the International Taoist Tai Chi Centre, which is a wonderful place. Of course, I support a variety of other causes and projects, but in terms of who receives donations from me, the above organizations are a good expression of my beliefs and philosophy.